Studying robotics in the classroom requires an affordable, capable, accessible robotics solution, and the Lego Mindstorms NXT Robotics Kit promises to be that solution. Designed as an outgrowth and a refinement of ten years of experience with robotics kits, it includes a number of refinements that increase capability while simultaneously reducing complexity. For instance, the design of all major non-structural components (the ones that don’t look like recognizable LEGO pieces, that is) includes attachments that allow them to be easily and rapidly integrated into a design. 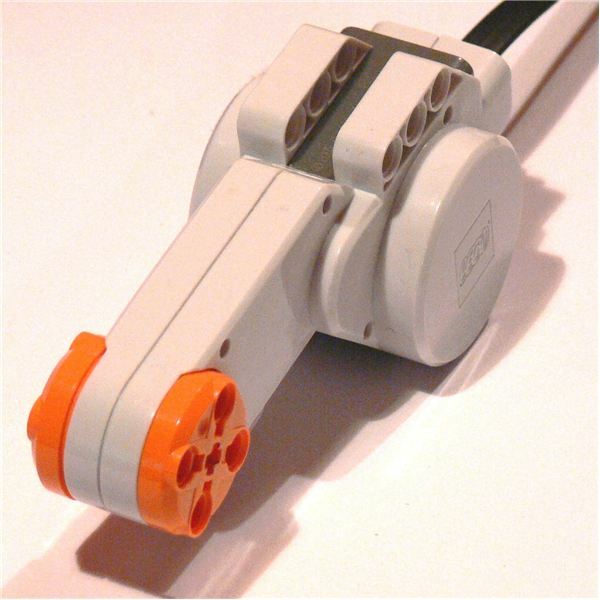 The core of the system is lovingly referred to as the “brick" (a nod to the nickname and appearance of the RCX microcomputer that controlled the first generation of Mindstorms), a plastic box a little thicker than an average paperback containing eight ports, three keys, and a computer screen. Simple programs can be written and downloaded programs executed using this device, and connection to a PC or Mac can be accomplished using the included USB cable or via Bluetooth. A robotics system that is going to interact with its environment needs to be able to move around within that environment as well as move parts of its environment. This is accomplished through the use of three motors. Unlike in previous designs, these are larger but more easily attached and include a rotation sensor “for free". We tend to take our sensors for granted, but a robot can’t. What it can accomplish is strictly delineated by how it can sense the world around it, and our robots are far more limited than we are in that respect. 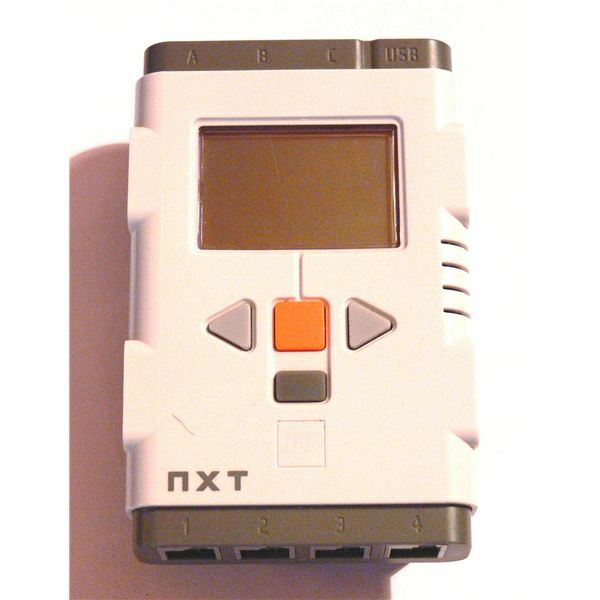 The NXT kit includes a light sensor (capable of sensing shades of grey, not true color) and a sound sensor that can detect the amplitude of a sound (loudness, but not detail) as well as a touch sensor (a simple pressure switch) and ultrasonic sensor (uses echolocation to determine the distance to objects). 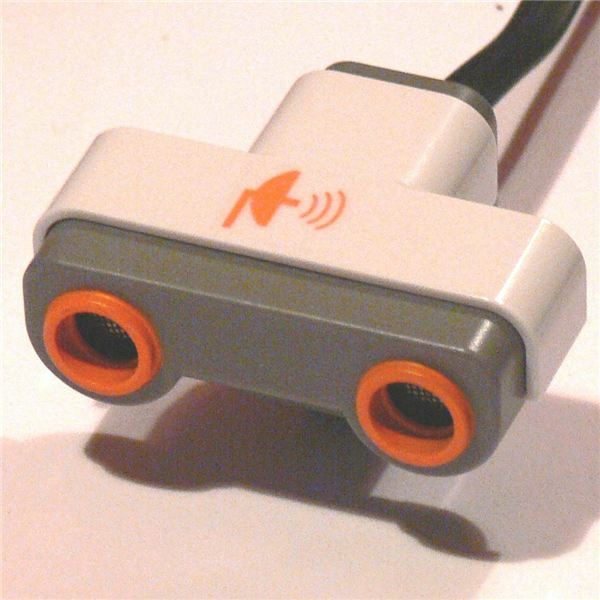 While this selection may seem limited, a lot can be accomplished with the kit sensors, and compass, gyro, IR sensors, and more are available from 3rd party manufacturers such as HiTechnic. The programming language included "out of the box" is called NXT-G; based on National Instruments’ LABVIEW software, this software is capable of accommodating those new to programming as well as those who want to tackle the nuts and bolts. Programming is accomplished simply by dragging and dropping blocks from the programming palette onto the program window (blocks are automatically connected, though you can change the flow of the program if you wish), and adjustments can be made to the blocks’ function simply by highlighting the blocks and changing the settings at the bottom of the screen. For those interested in taking their programming to the next level, numerous third-party programming options exist. In fact, iCommand, a Java module written by the team responsible for LeJOS (a Java programming environment for NXT), allows direct control of your LEGO robot via your personal computer! The potential of the system is matched by the user community built around the NXT kits- NXTLOG is a blog that LEGO has built around the Mindstorms kits, and it is an excellent place to go to find news about NXT, robots posted by other users, and a free LEGO CAD program that allows you to share your creations with others. A multitude of books are also available for NXT users, ranging in difficulty from beginner’s tutorials to advanced construction and programming. Rev up your science and engineering education by using robotics in the classroom to teach hands-on concepts in an engaging, fun, and flexible manner!